This article is 1558 days old. 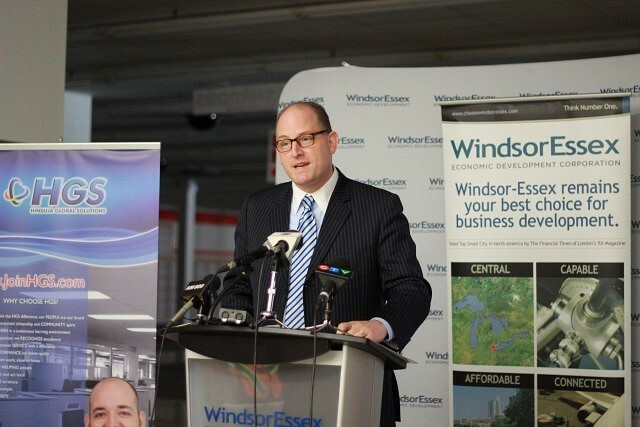 Windsor Mayor Drew Dilkens announces a new call centre to open here in Windsor. 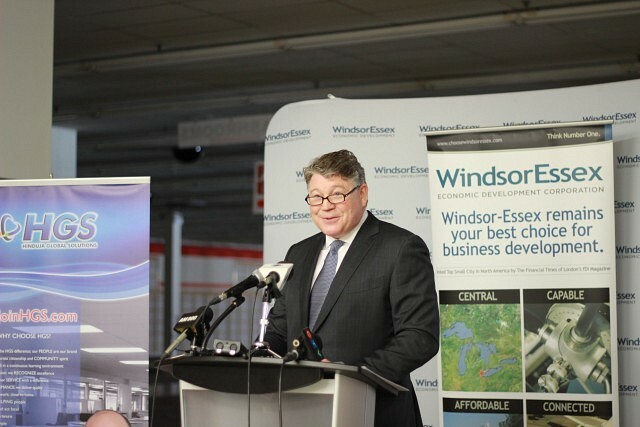 A new call centre, Hinduja Global Solutions is opening here in Windsor. This morning, a media conference was held at the new HGS site inside Tecumseh Mall. The site will be located in the former Zellers store. Mayor Drew Dilkens and Sandra Pupatello, CEO of the Windsor Essex Economic Development Corporation welcomed Ross Beattie, company president and CEO of HGS Canada today at the conference. Mayor Dilkens says the city will do as much as it can to ensure HGS is successful here at their newest location in Windsor. HGS’s expansion began on September 23rd of last year, when it was announced that Windsor was selected as their 12th contact centre location. Pupatello says HGS has already started interviews with 300 people. HGS will initially hire 120 employees for training in temporary facilities that has been arranged with Tecumseh Mall. Company president, Beattie presented the Downtown Mission with a $5,000 cheque as a demonstration to show their commitment to their new community. HGS hopes to have hired 600 employees by fall of 2015. HGS president Ross Beattie speaks to the crowd at today’s media conference at HGS Canada’s new site located at Tecumseh Mall. 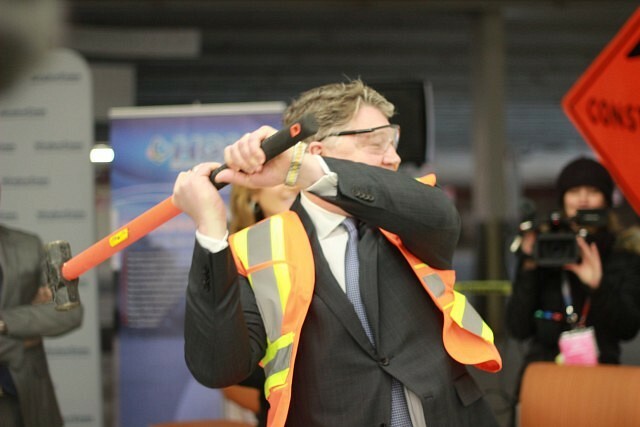 HGS president Ross Beattie initiates the start of construction at the new HGS Canada site located in the former Zellers store at Tecumseh Mall.